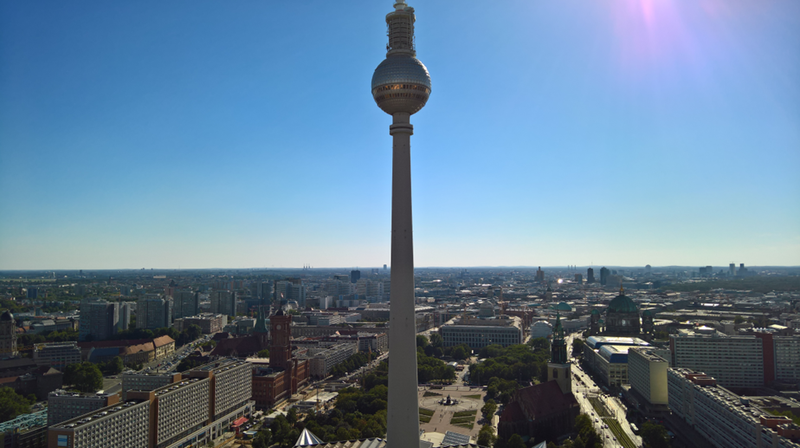 This years SCU Europe 2016, for the first time outside Switzerland in the 4th year running, was held in Berlin at the BCC (Berlin Congress Center) close to the Alexander Platz in the eastern parts of “Berlin Mitte”. Let’s begin with the end: at the closing note SCUE general Marcel Zehner announced and with a little bit of emotion that this was the last ever SCU Europe to be held.. You and your organization should be proud of what you have achieved, Marcel, it is one of the best community conferences around, and I have been fortunate to be able to visit all 4 starting with Bern in 2013, Basel in 2014 and 2015, and now Berlin in 2016. It’s only cities with B’s is it? In fact, you never know what twists and turns your career takes, but looking back I’m not sure I would be where I am now in turn of being presenter, MVP and community influencer myself if I had not travelled alone to Bern 4 years ago, that’s where I really started working with and for the Community (with a capitol C)! 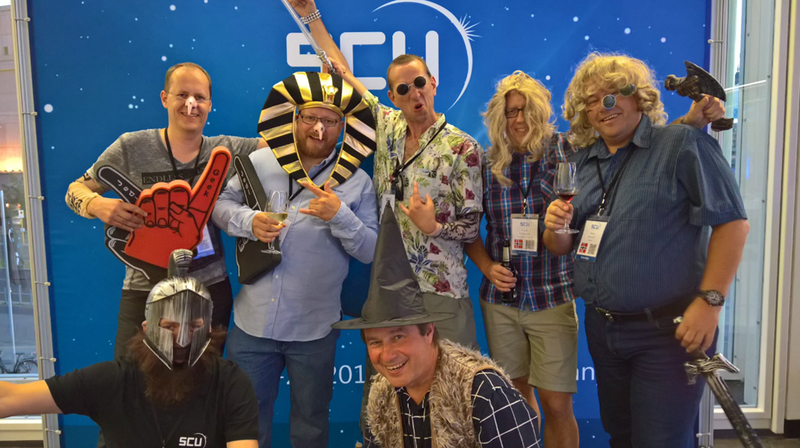 Luckily SCU Europe will continue as Experts Live Europe next year! Same place at BCC, same organization and format, and the same dates only next year it will be: 23rd – 25th of August 2017. 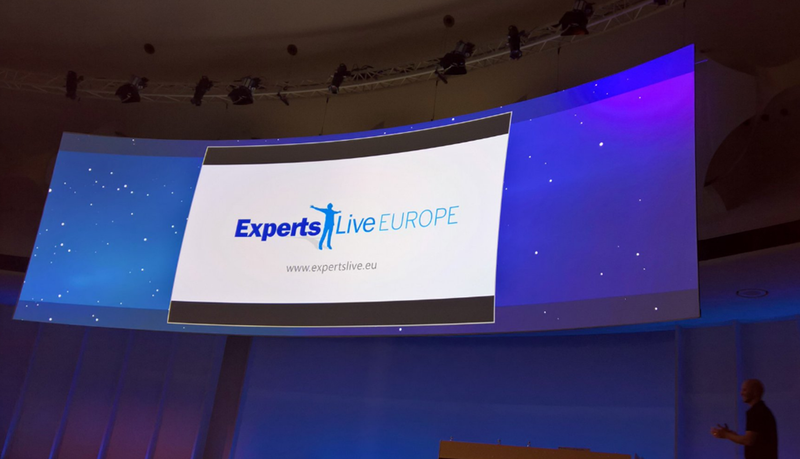 A new web page was launched, www.expertslive.eu, and Twitter (@ExpertsLiveEU) and Facebook have been changed to reflect that. 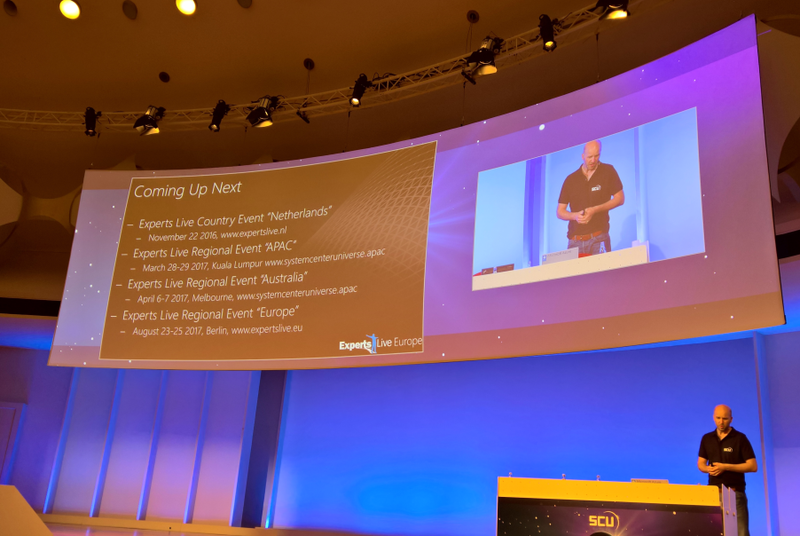 The hash tag #SCU_Europe will eventually be inactive and you should now use #ExpertsLive. I think this is a very good decision, there has already been discussion on that the name “System Center Universe” is not really reflecting the content and focus of the conference, now embracing the Cloud, with content areas for Management, Productivity, Security, DevOps, Automation, Data Platform and more. ExpertsLive, originally a 1-day community conference in Netherland running each year back from 2009 and with up to 1200 participants, will now be a network of conferences, ranging from region based (ExpertsLive Europe, but also SCU APAC and SCU Australia will be ExpertsLive APAC and Australia next year), and local, country based ExpertsLive like the one in Netherlands, but more will come. 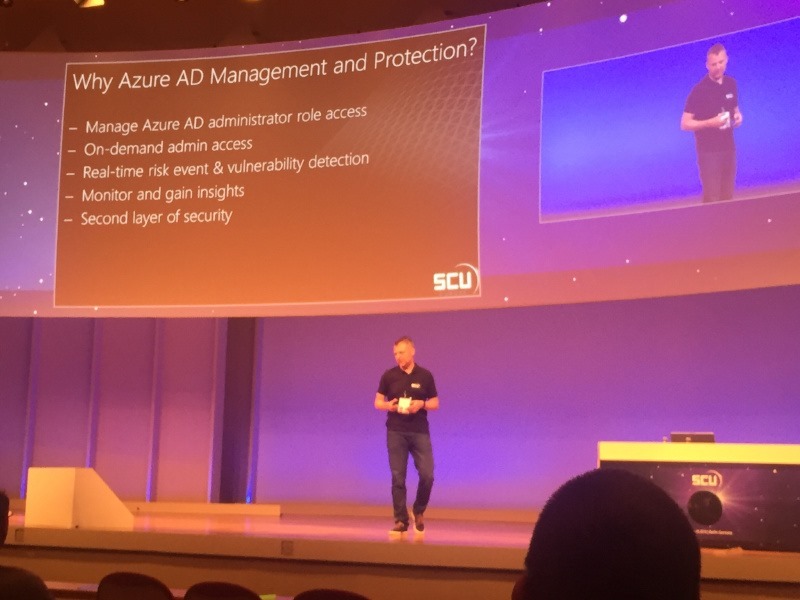 This year at SCU Europe I was one of the Experts and presented two sessions on “Premium Identity Management and Protection with Azure AD” and “Deep Dive: Publishing Applications with Azure AD”. I also took part in a “Ask-the-Experts” area together with Cameron Fuller and Kevin Greene where we took questions on the topic System Center 2016. 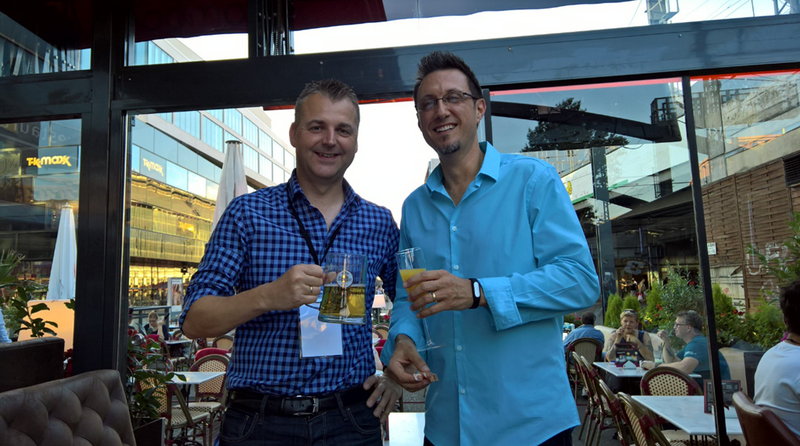 I participated on a discussion panel on Friday morning with Markus Wilhelm from Microsoft Germany on the subject Defense Strategies and Security, and of course we had the Meet and greet with the Experts at the Networking party. It was a really great experience speaking at this conference, thanks for having me! Early hint for Experts Live? The content of the conference this year was great, and for the first time there was 5 tracks, with over 70 sessions presented! All presentations and session recordings will be at Channel 9 in a few weeks time, so make sure you look at anything you missed or want to see again if you where there, or if you weren’t at the conference this year you can look at your sessions of interest. 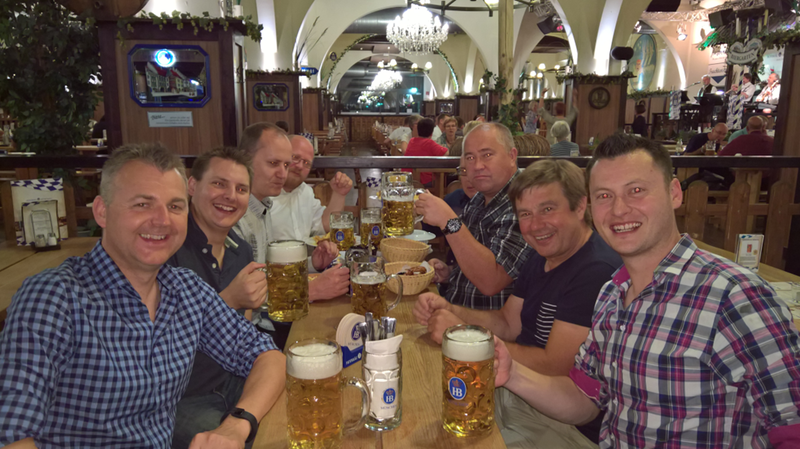 I was travelling with a group this year, both from my company and some of our customers, in total we were 7 in the group, and also had 3 cancellations the last week before the conference from some customers that could not make it after all. Moving the conference to Berlin is a big part of why it now was easier to attract more Nordic attendance I think. We stayed at the Park Inn by Radisson right by the Alexander Platz and BCC, so it was really central and nice. In good tradition there are a lot of parties and social networking going on. 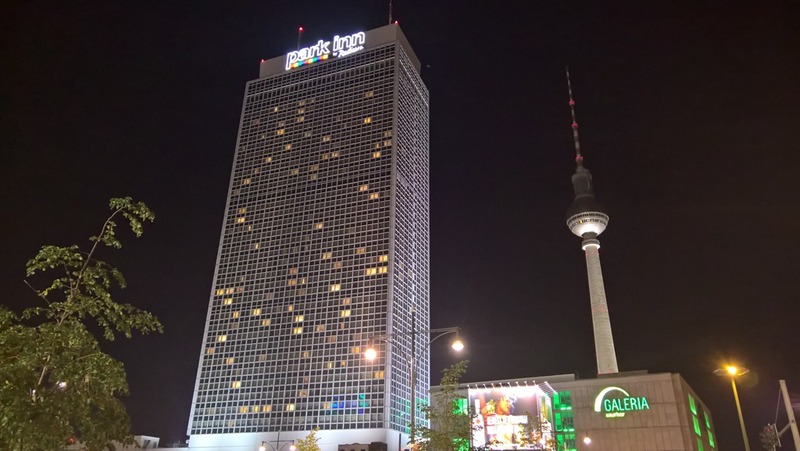 On the first night there are the Sponsors and Speakers Party, which was held in Mio right by the TV Tower by Alexander Platz, on Thursday we had the attendee Networking Party at the conference center. Later that night our group and some more partners/customers of Squared Up went on to another party at Cosmic Kaspar. It was really hot, so basically the party was at the pavement! 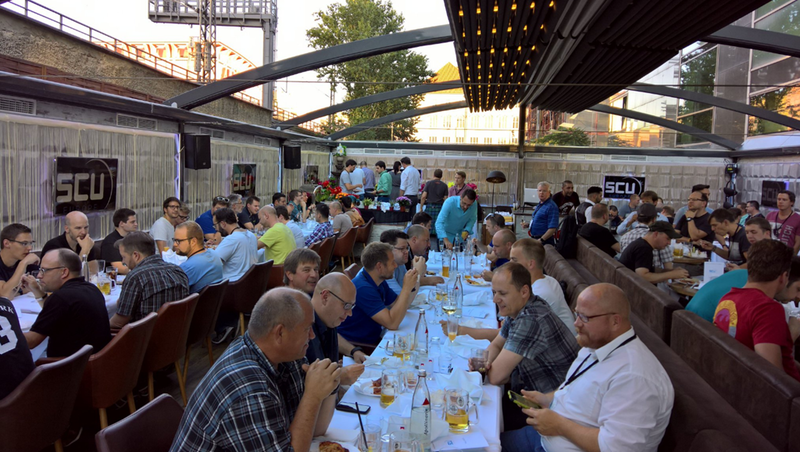 On the last day we had the Closing Drinks, sponsored by Cireson and itnetX at Club Carambar, also close to the Alexander Platz. In addition, there are a lot of unofficial gatherings going on, lots of laughs and new and old friends have a good time. See you next year at Experts Live Europe in Berlin 23-25th August, 2017! 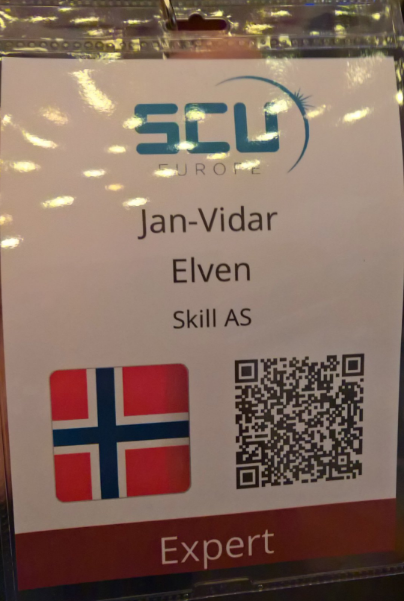 This entry was posted in Automation, Azure, Azure AD, Azure AD Premium, Enterprise Mobility Suite, Microsoft Intune, Operations Manager, Operations Managment Suite, PowerShell, Service Manager and tagged Azure, Azure AD Premium, Enterprise Mobility, Service Manager on August 31, 2016 by Jan Vidar Elven. Squared Up is a Web based Dashboard solution for SCOM environments, and since its built on HTML5 it works on any device or browser as long as you can connect to the Web Server the solution is installed on. This should be another good scenario for using the Azure AD Application Proxy, as the Squared Up Web Site needs to be installed either on the SCOM Management Server or on a Server that can connect to the Management Server internally. In this blog article I will describe how to publish the new Squared Up Web Site. This will give me some interesting possibilities for either pass-through or pre-authentication and controlling user access. Publish without pre-authentication (pass through). This scenario is best used when Squared Up is running Forms Authentication, so that the user can choose which identity they want to log in with. Forms Authentication is also default mode for Squared Up installations. Publish with pre-authentication. This scenario will use Azure AD authentication, and is best used when Squared Up Web Site is running Windows Authentication so that we can have single sign-on with the Azure AD identity. I will go through both authentication scenarios here. I will then give a name for my application, specify the internal URL and pre-authentication method. I name my application “Squared Up SCOM Dashboard”, use http://scomdashboardserver/SquaredUp/ as internal URL and choose Passthrough as Pre-Authentication method. When choosing passthrough as authentication method, all users can directly access the Forms Based logon page as long as they know the external URL. Assigning accounts, either users or groups, will only decide which users that will see the application in the Access Panel or My Apps. I choose to change the External URL so that I use my custom domain, and note the warning about creating a CNAME record in external DNS. After that I hit Save so that I can configure the Certificate. Since I have already uploaded a certificate (see previous blog post https://systemcenterpoint.wordpress.com/2015/06/10/using-a-custom-domain-name-for-an-application-published-with-with-azure-ad-application-proxy/), I can just verify that it is correct. When using passthrough I don’t need to configure any internal authentication method. Another feature that is in Preview, is to allow Self-Service Access to the published application. I have configured this here, so that users can request access to the application from the Access Panel (https://myapps.microsoft.com). After I have configured this and uploaded a logo, I am finished at this step, and can test the application using passthrough. Now I’m ready to do the next step which is change Pre-Authentication and use Azure AD Authentication and Single Sign-On. First I will reconfigure the Azure AD App Proxy Application, by changing the Preauthentication method to Azure Active Directory. Next I need to configure to use Internal Authentication Method “Windows Integrated Authentication”. I also need to configure the Service Principal Name (SPN). Here I specify HTTP/scomdashboardserverfqdn, in my example this is HTTP/skill-scom02.skill.local. PS! A new preview feature is available, to choose which login identity to delegate. I will continue using the default value of User principal name. Since I now will use pre-authentication, it will be important to remember to assign individual users or groups to the Application. This enables me to control which users who will see the application under their My Apps and who will be able access the application’s external URL directly. From the bottom part of the configuration settings I can configure Access Rules, which at this time is in Preview. This is cool, because I can for example require for this Application that users will be required to use multi-factor authentication. I have not enabled that here though. After I’m finished reconfiguring the Azure AD App Proxy Application, I can save and continue with the other requirements. The Squared Up Web site supports Windows Authentication, the instructions for configuring that is described here: http://support.squaredup.com/support/solutions/articles/4136-enable-integrated-windows-authentication-single-sign-on-. Follow that article and you should be ready for the next step. It is a good idea at this point to verify that Windows Integrated Authentication is working correctly by browsing internally to http://scomdashboardserver/SquaredUp. Your current logged on user (if permissions are correct) should be logged in automatically. I now need to configure so that the Server running the Proxy Connector can impersonate users pre-authenticating with Azure AD and use Windows Integrated Authentication to the Squared Up Server. Testing the published application with Azure AD Authentication! Now I am ready to test the published proxy application with Azure AD Authentication. I can also access the Squared Up Application from the “My Apps” App on my Mobile Devices. So to conclude, Squared Up is another great solution for publishing with Azure AD Application Proxy ! This entry was posted in Azure, Enterprise Mobility Suite, Operations Manager and tagged Azure, Azure AD Application Proxy, Azure AD Premium, Operations Manager, Squared Up on September 24, 2015 by Jan Vidar Elven.